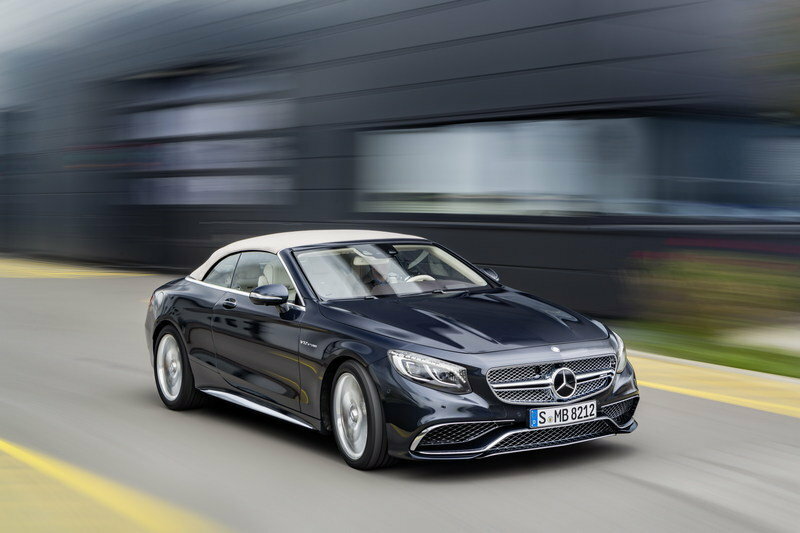 It’s been 44 years since Mercedes-Benz stopped offering a convertible version of its largest coupe, and the Germans finally developed a two-door variant of their full-size model. It’s called the S-Class Cabriolet and, as the name suggests, it’s identical to the S-Class Coupe from the waist down, which, in turn, is based on the S-Class sedan, arguably one of the most comfortable and luxurious limousines you can buy nowadays. As is the case with most modern Mercedes-Benz models, the S-Class Cabriolet also received the AMG treatment. 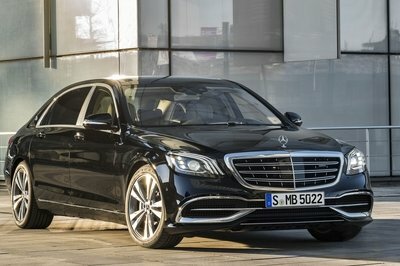 Having already seen the AMG S63 version at the 2015 Frankfurt Motor Show, it is now time to have a closer look at the S65. Just like the S65 Coupe is to the S63 Coupe, the S65 Cabriolet is essentially the more powerful sibling of the S63 Cabriolet. Of course, there are other details that set them apart inside and out, but the main highlight of the S65 moniker, no matter to which nameplate it’s attached, is the impressive amount of horsepower and torque. 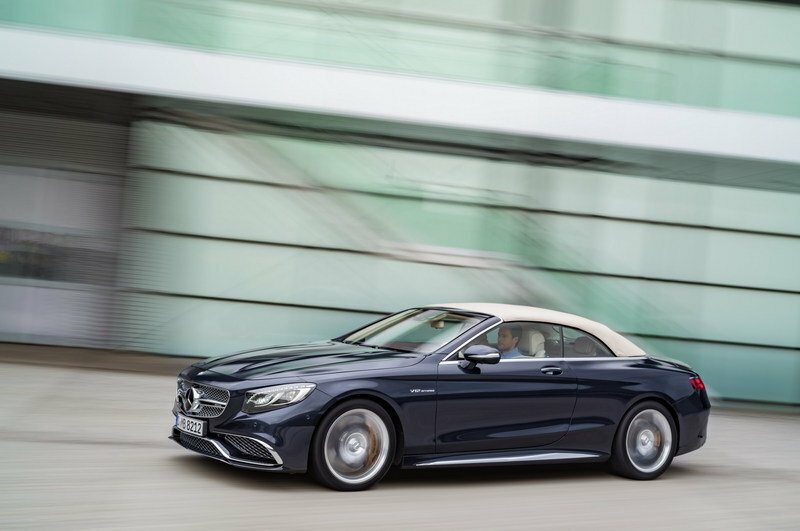 Scheduled to make its public debut at the 2016 Detroit Auto Show in January, the S65 Cabriolet is the ninth member of the current S-Class lineup and the fifth Merc to wear the S65 badge. 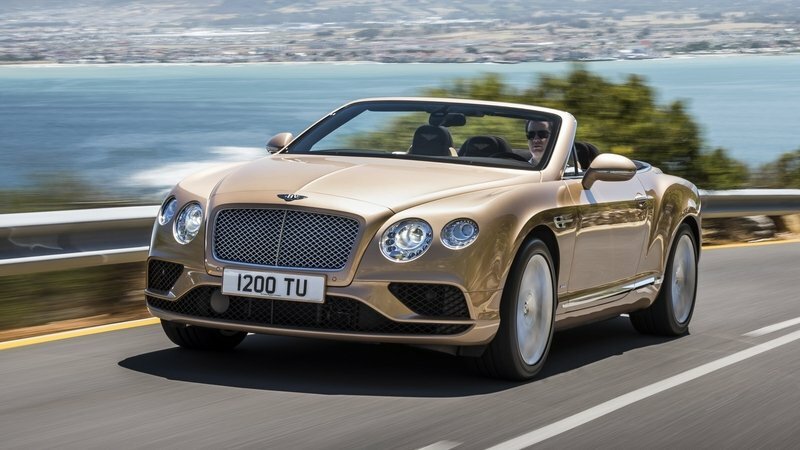 It is also the most powerful large convertible available from Stuttgart and a full-fledged competitor for the Bentley Continental GT Speed Convertible. 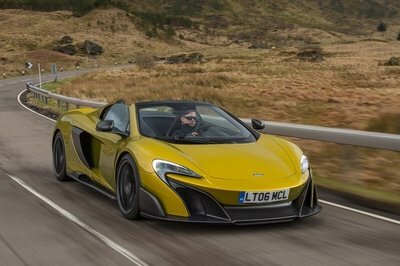 How does it stack against Britain’s posh drop-top? You’ll have to keep reading to find out. 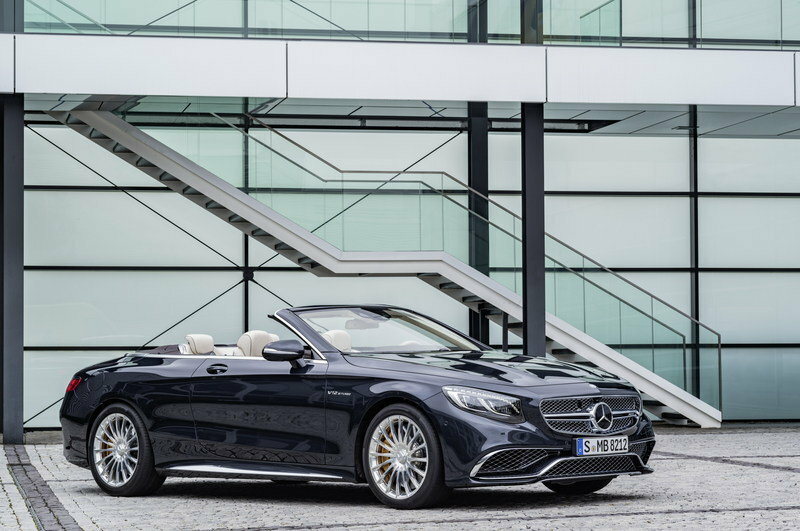 Continue reading to learn more about the Mercedes-AMG S 65 Cabriolet. From the distance, the S65 seems identical to the S63, which isn’t surprising given that both models are based on the S-Class Cabriolet and feature AMG’s most aggressive body kit for this nameplate. 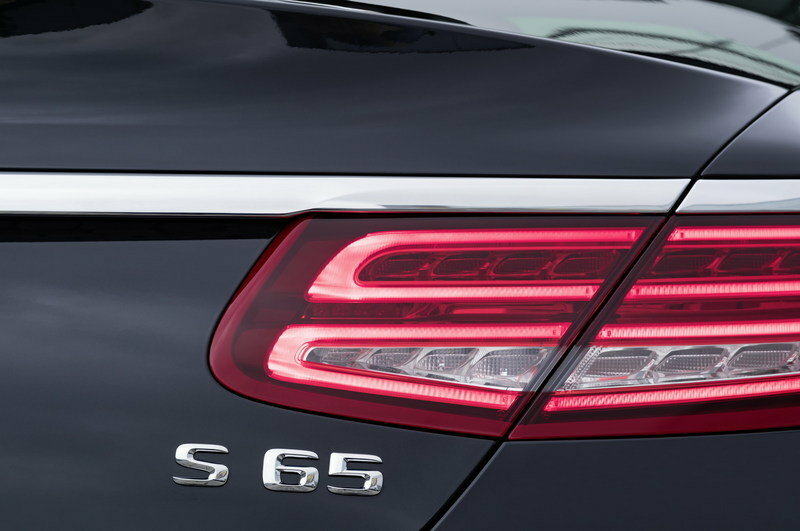 Massive yet elegant, with a low-slung profile and deeply sculpted character lines, the S65 is beautiful to look at from every angle. By comparison, the Bentley Continental GT Speed seems bloated and slow. If you loved the S63, you'll definitely feel the same about the S65, as it employs all the nice features seen on the less powerful drop-top. If you loved the S63, you’ll definitely feel the same about the S65, as it employs all the nice features seen on the less powerful drop-top. 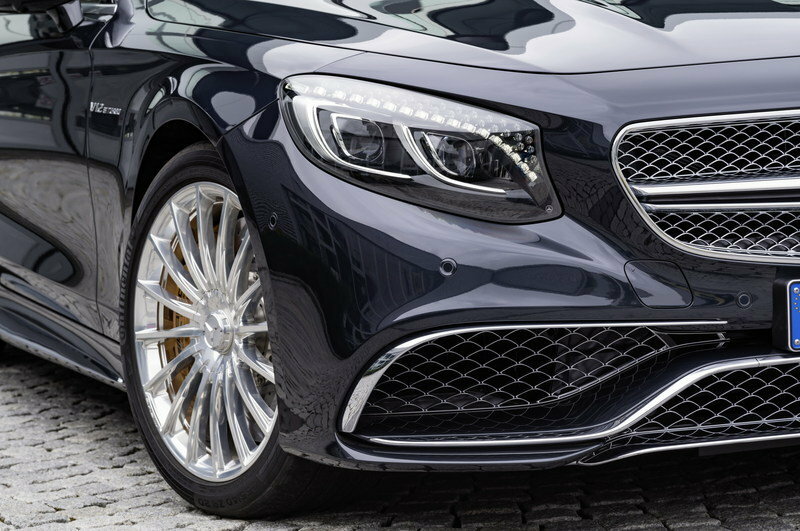 Highlights include the twin-blade radiator grille with the large Mercedes star, aggressive front bumper, sporty side skirts, multi-spoke wheels, quad exhaust pipes, and a high-gloss diffuser insert. 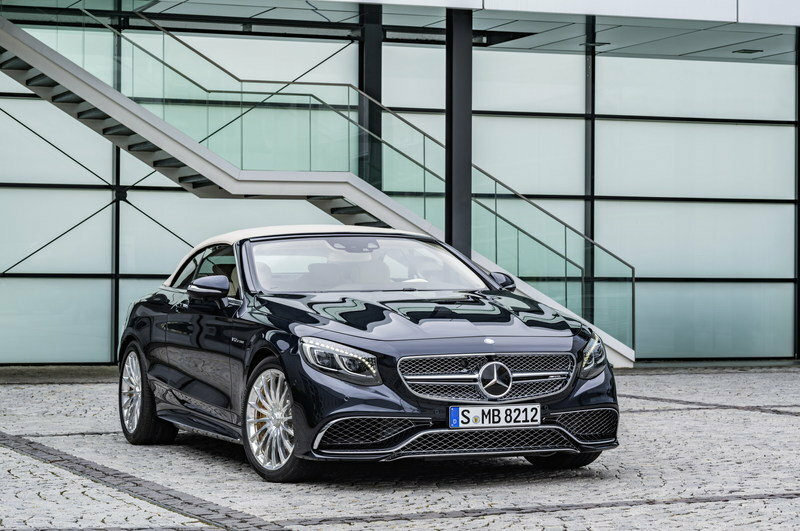 Upon closer inspection, the S65 Cabriolet stands out by means of high-sheen chrome elements on the front fascia, including the grille behind the emblem and in the bumper air intakes, as well as the splitter. These high-sheen elements are particularly effective when combined with dark paint finishes as the one seen in these photos. Arguably, the most telling features about what lies under the hood are the "S65" badge on the trunk lid and the "V12 Biturbo" lettering on the wings. Finally, there are the ceramic high-sheen, multi-spoke forged wheels measuring 20 inch front and rear. Just like the S63, the S65 comes with a multi-layered soft-top that has the design contours of the coupe. 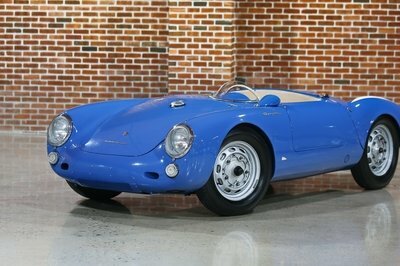 It’s not exactly identical since the quarter windows are smaller, but the car is quite handsome even with the top up. Available in black, dark blue, beige or dark red, the roof can be electro-hydraulically opened and closed while on the move, at speeds up to 31 mph (50 km/h). Opening and closing take around 17 seconds. 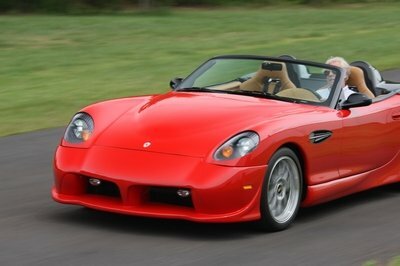 When opened, the soft top is deposited above the extending luggage compartment partition. Much like the S63 Cabriolet, the S65 Cabriolet’s interior is identical to the standard model as far as design goes. What makes it different is the numerous extra standard features, including the sporty seats wrapped in Designo leather, the unique inserts, and AMG’s flat-bottom steering wheel with aluminum paddle shifters. For added luxury, the window frames and A-pillars are lined in high-grade Nappa leather, while the fabric top has Dinamica microfiber lining. The cabriolet is also equipped with the AMG instrument cluster, which displays information on engine speed, vehicle speed, and much more on two animated round dials on the 12.3-inch, high-resolution color TFT display. An outstanding level of comfort is provided by the automatic wind protection system (Aircap), the neck-level heating system (Airscarf), the heated armrests, the rear seat heating, and the intelligent climate control. Because the climate control is fully automatic, the driver does not need to select a mode for closed or open top, nor is it necessary to save a temperature setting for each of these driving conditions. The extensive range of standard equipment for the Mercedes-AMG S 65 Cabriolet includes the heads-up display and the touchpad. The heads-up display projects key information such as the vehicle speed, speed limits, navigation directions, traffic signs and information from the Distronic Plus system onto the windshield. As for the touchpad, it can be used to operate all of the infotainment function, making it significantly easier to access the radio, telephone and navigation system. 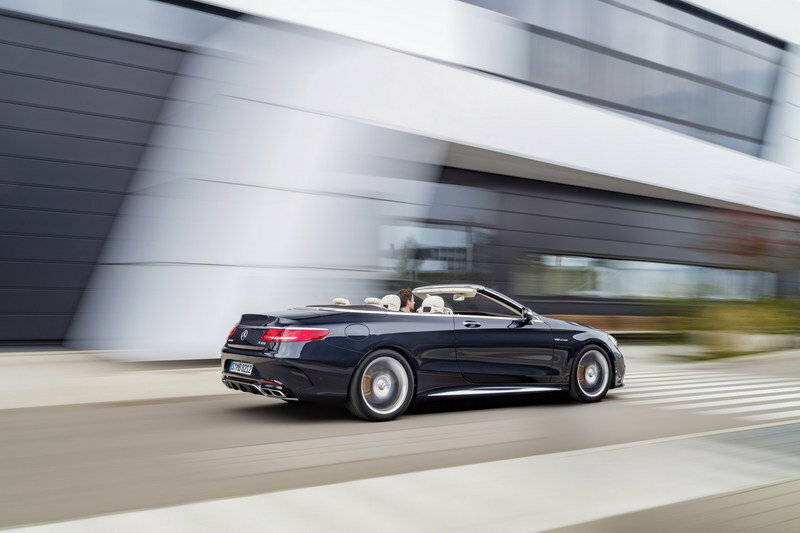 Powering the AMG S65 Cabriolet is the same 6.0-liter, V-12 engine found in the S65 Sedan and S65 Coupe. The twin-turbo mill cranks out a whopping 621 horsepower and 738 pound-feet of torque, which travel to all four wheels through AMG’s Speedshift Plus 7G-Tronic transmission. Charging from 0 to 62 mph takes 4.1 seconds, which is identical to the Coupe version, while top speed is electronically limited to 155 mph in standard guise and 186 mph with the AMG Driver package. The transmission comes with three individual driving modes. Controlled Efficiency returns better fuel economy with help from a start/stop function, while Sport and Manual emphasize the vehicle’s powerful and dynamic character. 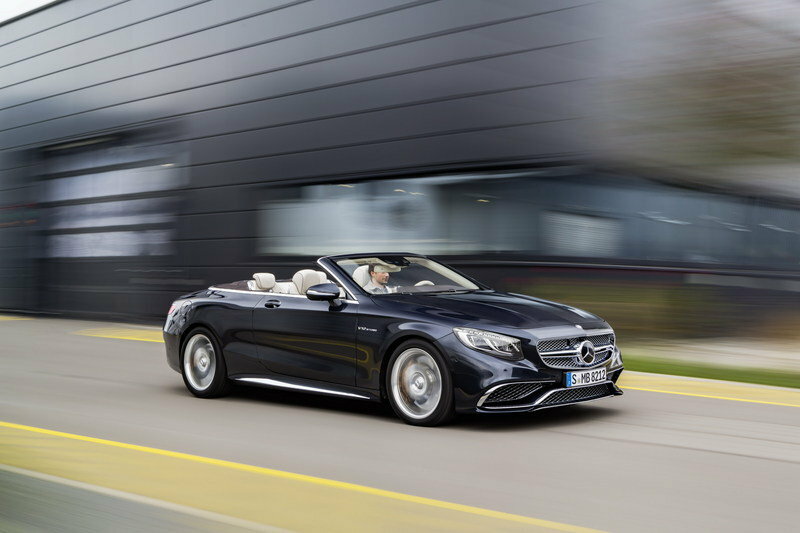 Just like its sedan and coupe siblings, the S65 Cabriolet received the company’s Magic Body Control suspension. The system combines three different functions — Active Body Control, Road Surface Scan, and curve tilting — and allows the S65 AMG Coupe to lean into bends for a "more pleasant motoring experience". Comfort is further enhanced by a speed-sensitive sports steering with variable ratio, which provides the coupe with better handling and agility through more steering assistance. Stopping power comes from AMG’s latest, high-performance compound brake system. The new design is more than 20-percent lighter than a conventional braking system and can be upgraded to the available ceramic-compound system. 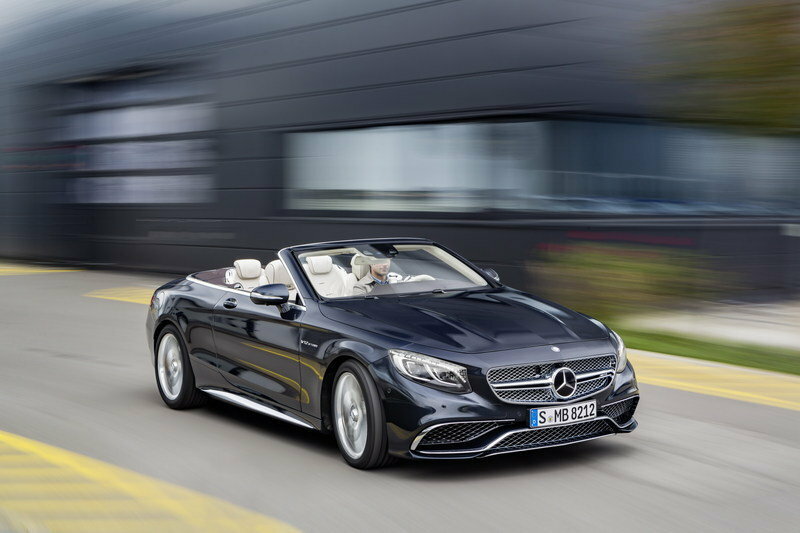 The new S65 Cabriolet is available with numerous assistance systems that increase both comfort and safety. "Intelligent Drive" systems include Pre-Safe Brake with pedestrian detection, Distronic Plus with Steering Assist and Stop&Go Pilot, Brake Assist Plus with Cross-Traffic Assist, Active Lane Keeping Assist, Adaptive Highbeam Assist Plus, and Night View Assist Plus. Collision Prevention Assist Plus adds distance and collision warning functions with adaptive Brake Assist, offering protection against collisions from just four mph (seven km/h). Mercedes also extended the Pre-Safe package to recognize an imminent rear-end collision and warn following traffic by activating the rear hazard warning lights at a high frequency. When a danger of collision persists, the system can lock the brakes of the stationary vehicle prior to a rear-end collision and activate the belt tensioners before impact. 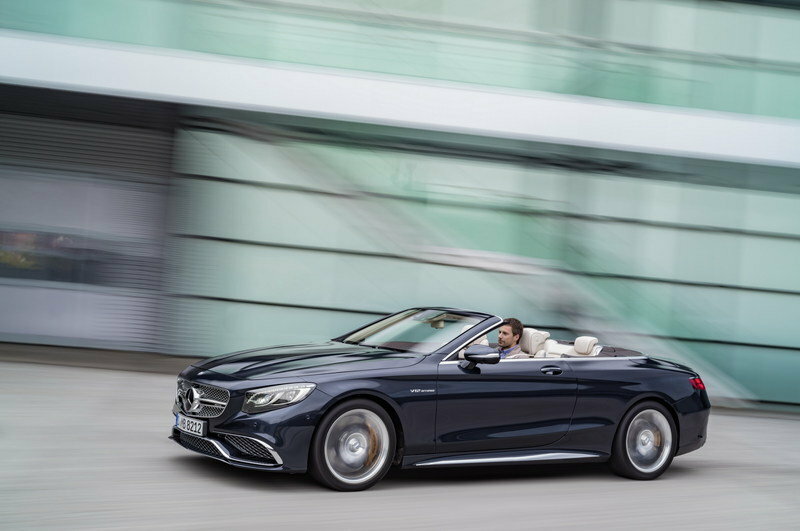 Mercedes-Benz has yet to announce pricing for the S65 Cabriolet, but given that the S65 Coupe retails from $234,050, it’s safe to assume that the drop-top will fetch close to a quarter million dollars. Such a sticker would make the S65 Cabriolet about as expensive as its Bentley-badged competitor and the most expensive convertible Mercedes has ever built. While the AMG S63 Cabriolet was less expensive and a bit quicker than the GT Speed Convertible, the AMG 65 is on par with the British machine. Powered by a 6.0-liter W-12 rated at 626 horsepower and 607 pound-feet of torque and a ZF eight-speed automatic, the Conti benefits from five extra horses and falls behind in the torque department by no fewer than 131 pound-feet. 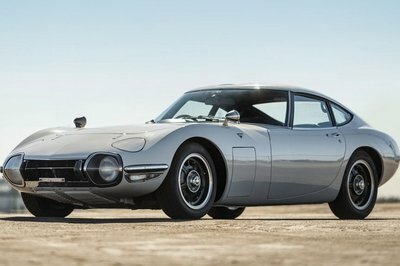 It only needs four seconds to hit 60 mph from a standing start, which will be about the same as the Merc when the Germans release U.S. specs. The Bentley wins the top speed battle with its 202 mph versus the AMG’s 186-mph rating. As far as pricing goes, the GT Speed Convertible retails from about $240,000, a sticker that might just make it a bit more affordable than the S65. The fact that S65 badge may add more than $70K to the S63 Cabriolet’s already eye-watering sticker is disheartening to say the least, but we must remember that vehicles competing in this niche aren’t built for rational people. Much like the Continental GT Speed, the AMG S65 Cabriolet is a ludicrous combination of luxury and performance that few can actually afford and those who aren’t emotional enough won’t even consider paying a quarter million for. 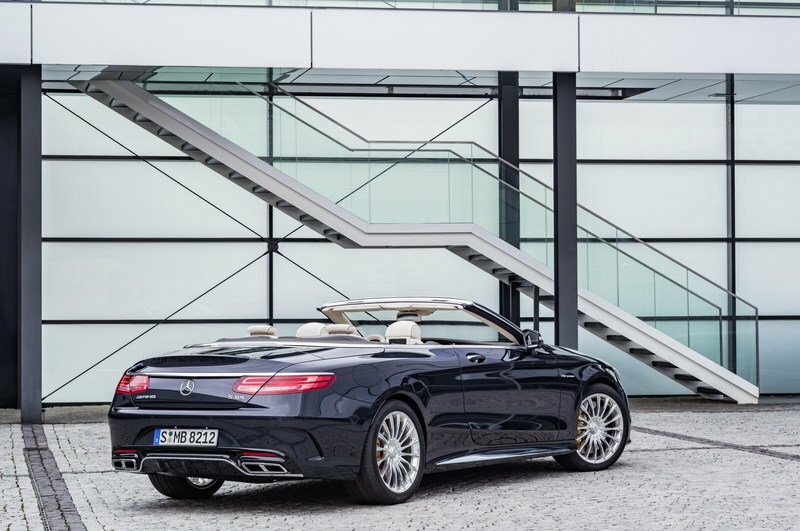 For the industry itself, the S65 Cabriolet means two things. It’s the ultimate Mercedes drop-top and the only vehicle capable of giving the Continental GT Speed Convertible a run for its money. More expensive than a Bentley? The peak output of 463 kW (630 hp) and maximum torque of 1000 newton metres make for effortlessly superior performance: The Mercedes-AMG S 65 Cabriolet sprints from 0 to 100 km/h in 4.1 seconds. The top speed is 250 km/h (electronically limited). The AMG Driver’s package includes an increase in the top speed to 300 km/h (also electronically limited). Yet it is the unrivalled 12-cylinder driving experience that thrills much more than facts and figures: stylish driving comfort and effortless power delivery combine with great refinement and the unmistakable AMG V12 engine sound. 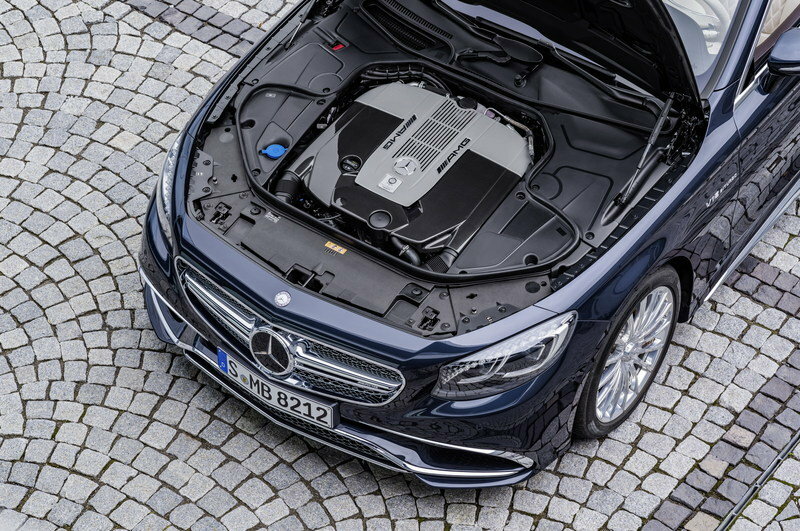 The exclusive carbon-fibre/aluminium engine cover also visually conveys the exceptional strengths of the V12 engine, which will be hand-assembled on the new, additional AMG engine line in Mannheim from 2016. The ultra-modern assembly layout is logistically and ergonomically perfect for the AMG philosophy of "One Man, One Engine". This means that at AMG’s headquarters in Affalterbach (production of V8 engines) and in AMG engine production in Kölleda/Thuringia (4‑cylinder engines), each engine is assembled entirely by hand by a single technician in Mannheim. A badge bearing the technician’s signature and attached to the engine is a personal testimony of perfection and quality. The AMG SPEEDSHIFT PLUS 7G-TRONIC transmission is responsible for transferring power to the rear axle. This automatic transmission offers a choice of three individual modes, Controlled Efficiency (C), Sport (S) and Manual (M). Sport and Manual emphasise the vehicle’s dynamism: the ultimate emotional appeal and tangible sportiness are ensured by the brief, precisely defined cutback of ignition and injection when shifting up a gear under full load. This shortens shift times and lends an audibly more emotive tone to gearshifts. The ECO start/stop function is activated in transmission mode "C". At the sides, the eye is drawn to the "V12 BITURBO" lettering on the wings and the high-sheen chrome inserts in the side skirts – which harmonise perfectly with the ceramic high-sheen multi-spoke forged wheels. Their large size of 8.5 J x 20 with size 255/40 ZR 20 tyres at the front, and 9.5 J x 20 with tyre size 285/35 ZR 20 at the rear, emphasises the model’s athletic appearance. The rear section also sparkles: The AMG sports exhaust system’s two chromed twin tailpipes in V12 design are fully chrome-plated and perfectly integrated into the rear apron. Above the distinctive diffuser insert, painted in high-gloss black, the trim element forms an effective contrast: it echoes the design of the "A-wings" on the front apron and is finished in high-sheen chrome. A perfect feel for the car’s behaviour is ensured by the 3-spoke sport steering wheel in nappa leather, which has a flattened lower section. It features shift paddles, a distinctly contoured rim trimmed with perforated leather in the grip area, and a metal insert with AMG lettering. Another typical AMG speciality is the AMG instrument cluster: information on the engine speed, vehicle speed and much more appears on two animated round dials on the 31.2 centimetre, high-resolution colour TFT display. The typography, the needles in red/silver, the speedometer with its 360 km/h scale and the "V12 BITURBO" lettering in the rev counter all have a specifically AMG look. When the driver’s door is opened, an AMG start-up screen appears on the right-hand display, while an animated Mercedes-AMG S 65 Cabriolet appears in the instrument cluster.